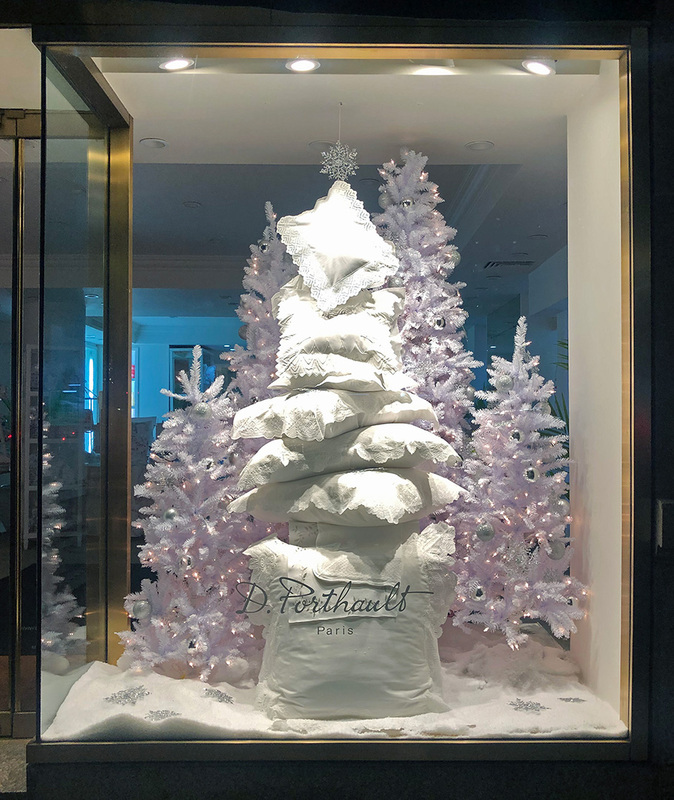 Geoff Howell Studio Blog — Geoff Howell Studio Inc.
After a long sleigh ride, or a day on the slopes, nothing could be more luxurious than a long Winter’s nap on D. Porthault’s embroidered, lacy pillows! 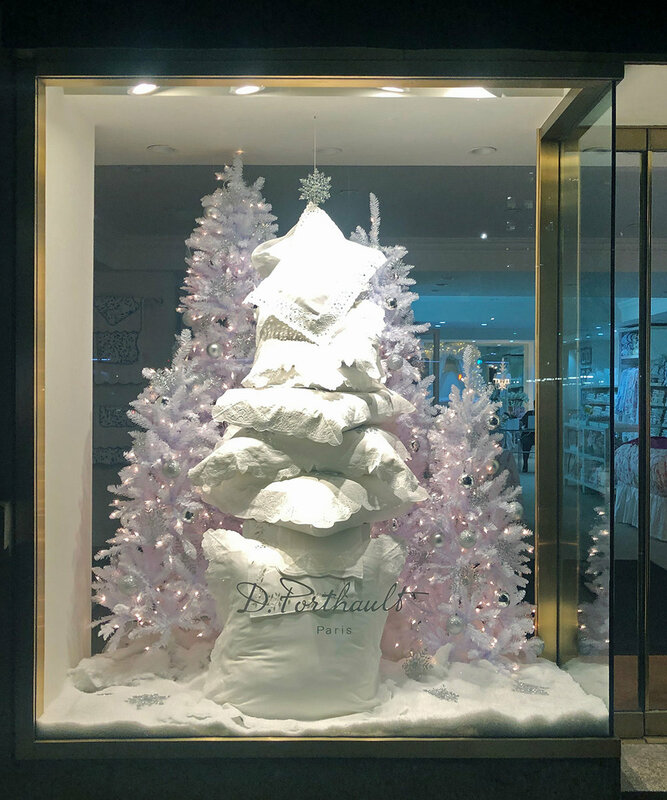 To celebrate the season, Geoff designed a tree-shaped drift of downy splendor, surrounded by a grove of sparkly Ever-whites! 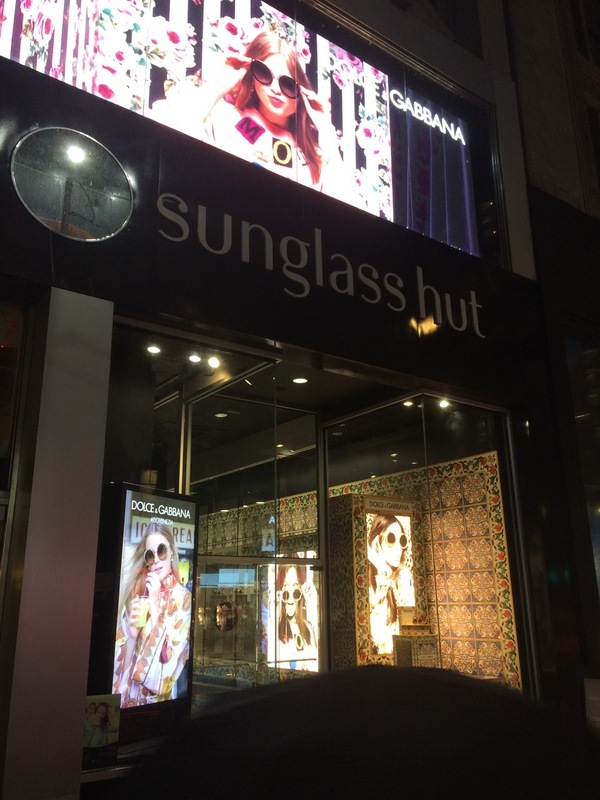 Sleep in heavenly peace! 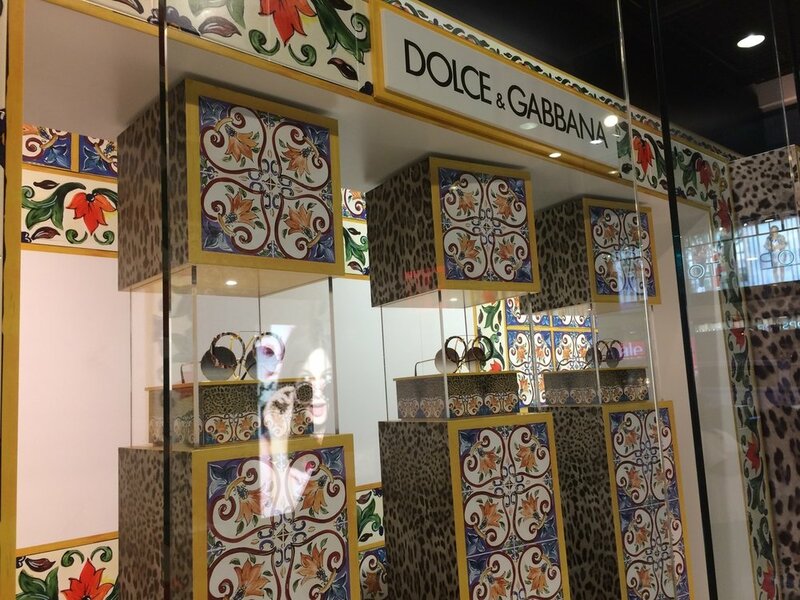 To help promote Dolce & Gabana’s new line of sunglass at Sunglass Hut, we installed a store-wide series of displays that riff off the colorful tiles seen around the streets of Venice, clash combined with animal prints. 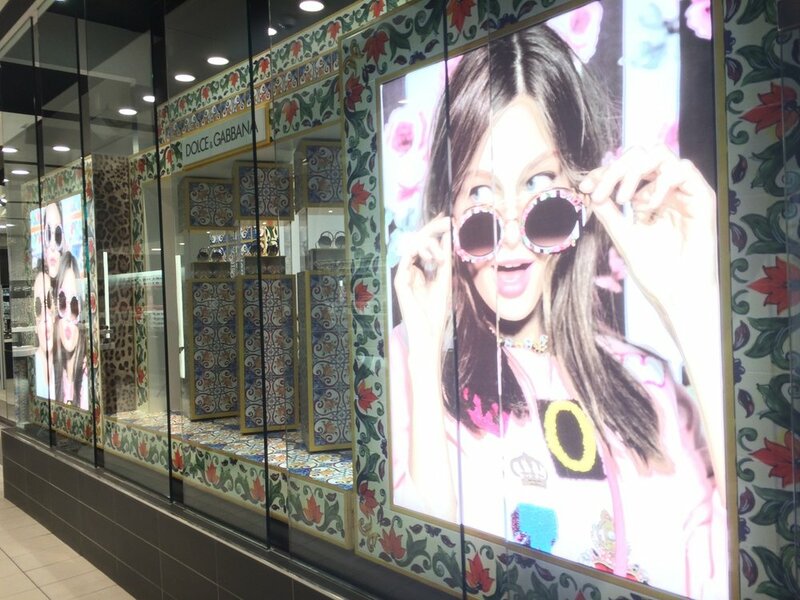 This baroque display included be-graphicked surfaces throughout including rotating vitrines, backlit graphics and jumbotrons. 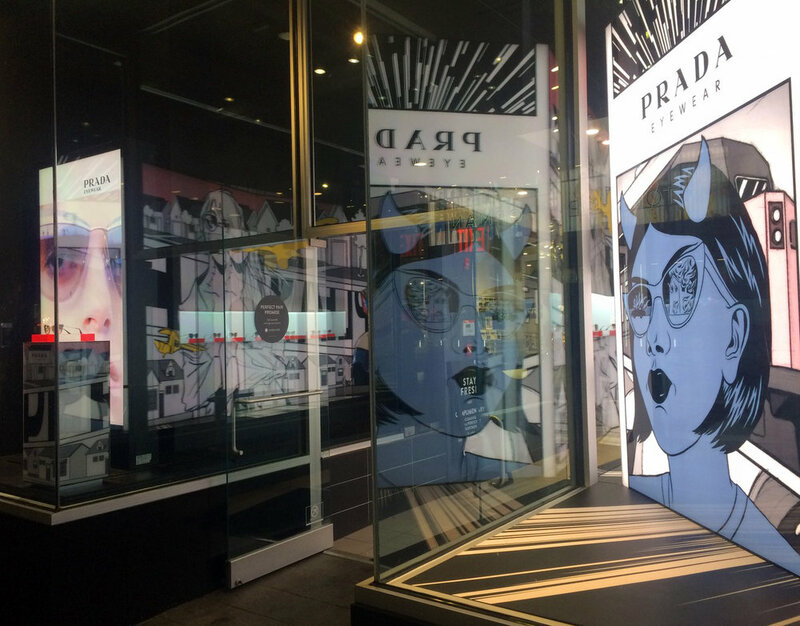 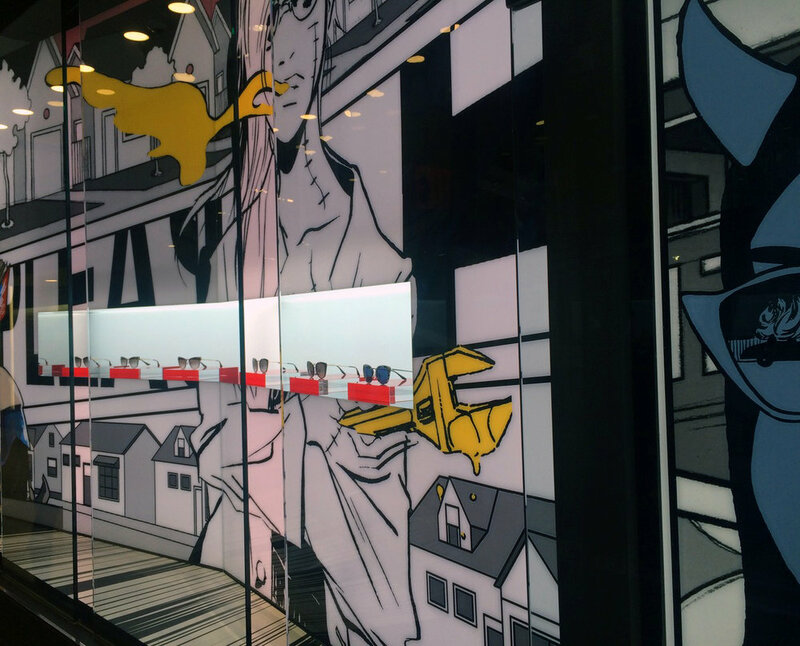 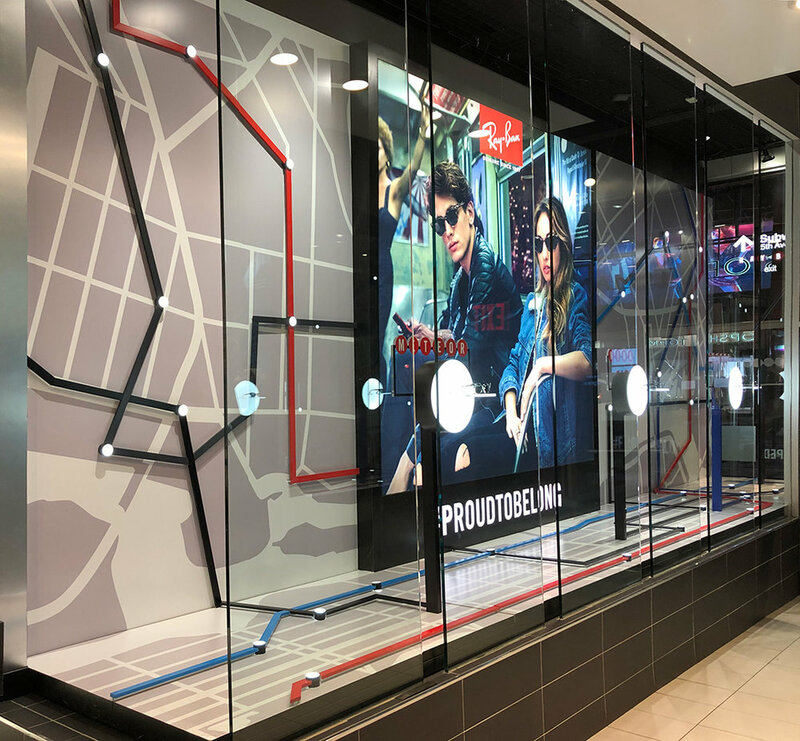 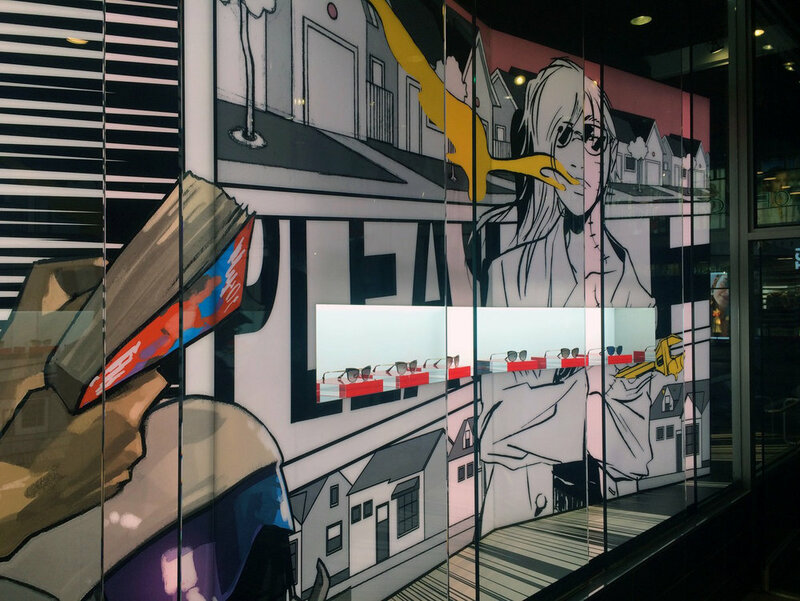 For Prada’s promotion at Sunglass Hut’s 5th avenue flagship we installed a bold comic book inspired display, backlit to pop the colors and featuring an inset with plexi risers for the sunglass. 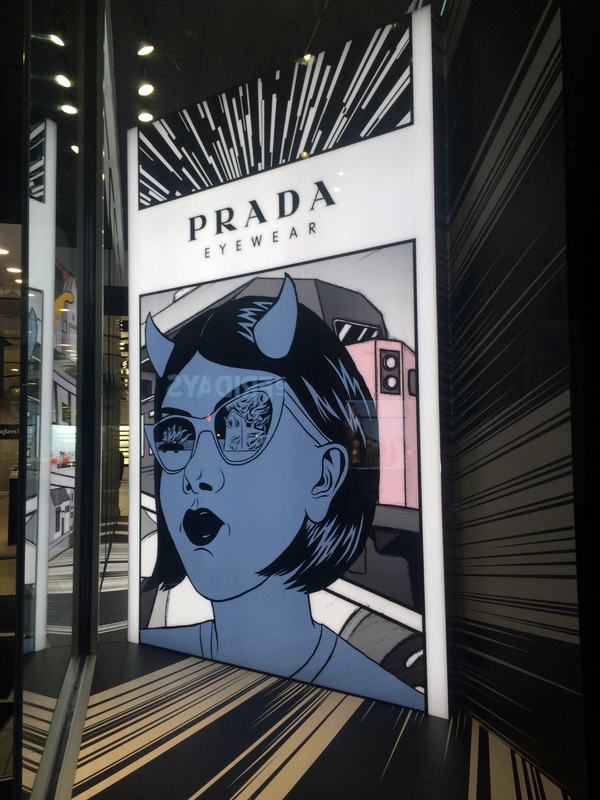 Glow Prada!! 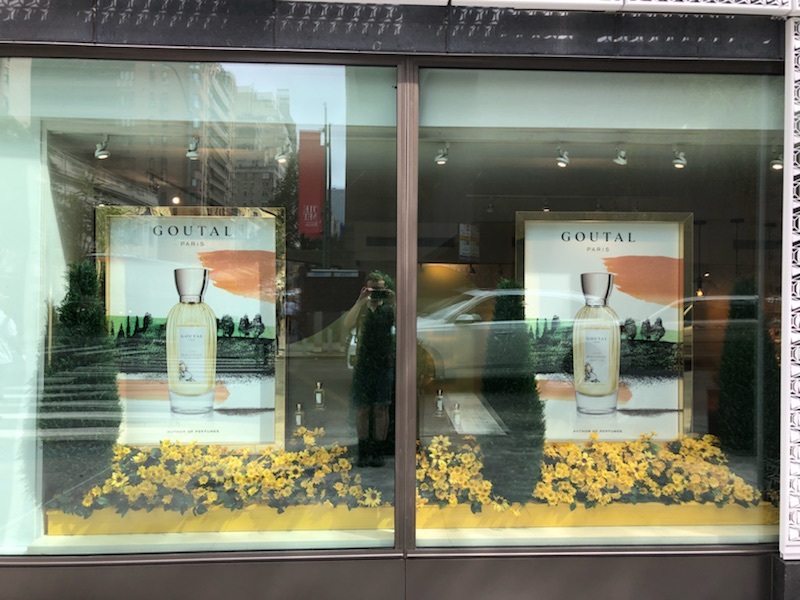 Amber silhouettes evoking an alpine mountain terrain at sunset, replete with a lush garden of yellow wildflowers visually portrays the essence of a new fragrance by Annick Goutal. 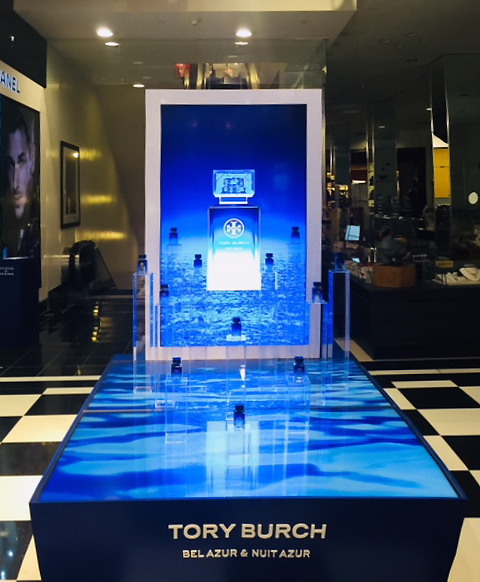 Tom Ford’s new elixirs are displayed in front of large backlit graphics of the key ingredients in 5 distinct aromas, replicating the feel of Tom Ford boutiques. 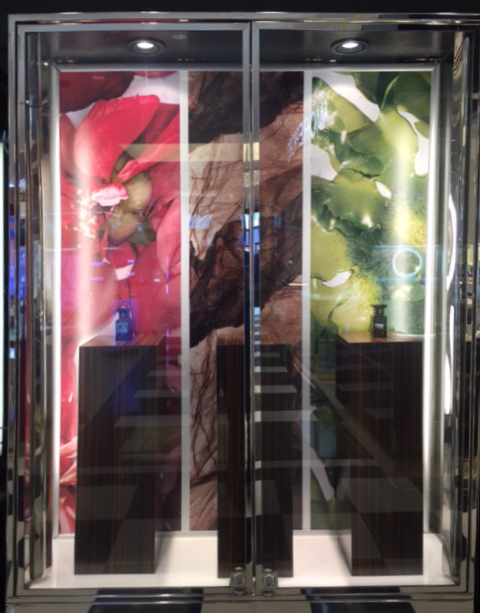 The luxurious dark wood tops and bases support the beautiful images of each fragrance. 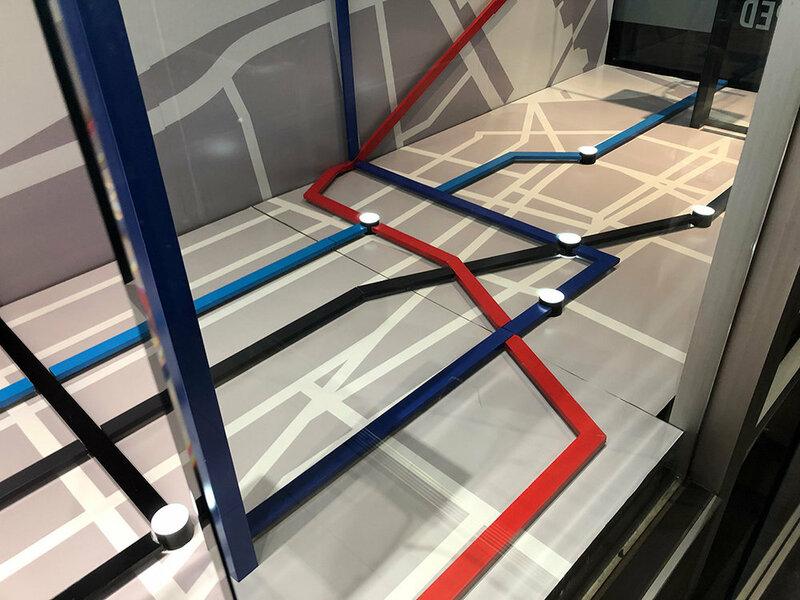 As autumn befalls the city once again, we ‘refreshed' the windows at the luxury French linen boutique D. Porthault with a contemporary take on the season. 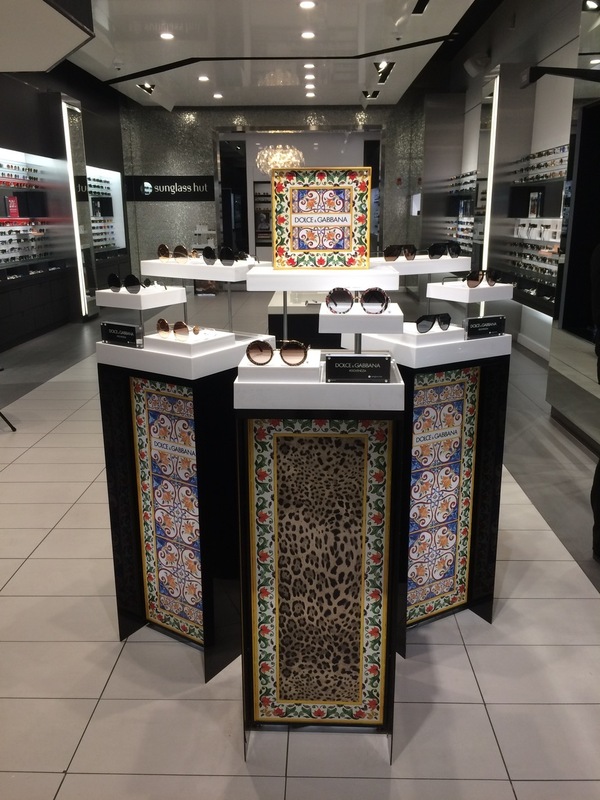 Lustrous copper leaves atop graphic tree silhouettes hand finished in a faux verdigris effect, picking up the colors in the beautiful floral prints of the linens on display. 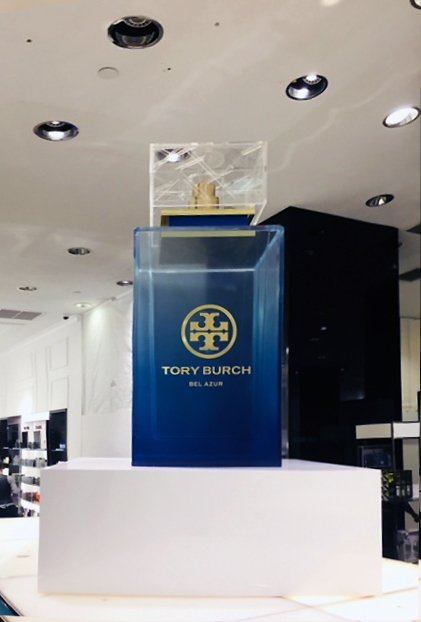 To promote Tory Burch’s twin fragrances Bel Azur & Nuit Azur at Bloomingdale’s, we created two giant ombre painted acrylic factice. 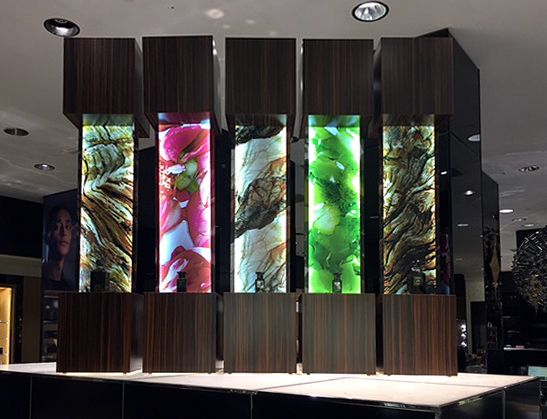 The main visual consisted of video monitors showing rippling azur waters with ‘floating’ fragrance bottles atop transparent risers, and large back-lit graphics.